We regularly handle significant claims relating to personal injury and clinical negligence including those arising from accidental death. The End of Whiplash Claims? 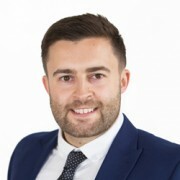 Rising star David Richards at Leathes Prior secured £80,000 in a fatal accident case and pursued a complex claim for injuries suffered in a train crash. Tim Cary is also recommended. Leathes Prior’s Dave Richards regularly pursues six-figure claims including complex stress at work matters. At Leathes Prior, versatile litigator Tim Cary and David Richards handle high-value claims for psychiatric damage, loss of earnings and brain injury. Thank you for forwarding documentation confirming the positive outcome for my current case in your hands. You have conducted my affairs in a professional and most pleasant and friendly manner. Kind regards and once again, thank you.